It’s finally the end of March and I don’t know about you guys, but I feel like it passed by so fast! How was March for you? Personally, it was a special month for me because I started my Time to K-pop blog and I’m really happy I did! What are some memorable things in March for you guys – K-pop related or non-related? Let me know in the comments! Songs of the Month is an idea I had for a category when I started the blog. I decided to do it as a monthly thing, because doing it weekly would be too often. Since it’s finally the end of March, I thought I’d start posting it now, before it’s too late :3! Songs of the Month will basically be, as the title says, songs that I’ve discovered in the month that I really liked, and want to share with you guys. The songs won’t necessarily be released in that month, although many of them might be, but will be chosen by when I encountered them. Feel free to leave any song recommendations of your favorites from the month! Let’s go and get started! By the way, this month might have a few songs from February too, since I obviously didn’t have a Songs of the Month then, so keep that in mind! Make sure to click the links if you haven’t listened to the songs already! Image taken from allkpop.com. All rights go to the respective owners! – You Deserve Better – Verbal Jint: There are a few things I have to say about this song. First off, I didn’t really find it this month, but I rediscovered it, and I realized how much I love it. It’s seriously one of my favorite K-pop songs. I don’t know why, I just find it so nice. Also, I don’t really know if the translation of the title is right so don’t blame me. :S Anyways, definitely give it a listen if you haven’t already! – Mr. Mr. – SNSD: I won’t talk about this song too much, since many of you probably know it already, but I really thought it was a cool, catchy song! – Some – JungGiGo & SoYou: A lot of you probably know this song too, since it’s been #1 in many music programs, but it’s still one of my favorites anyway! I love their voices and the song is so sweet. I never really talked about the video, but it’s so so so cute! – Four Times Around the Sun – Nell: I’m a fan of Nell (I should probably do a K-pop Findings about them soon) and this song was far from a disappointment. It’s a really nice song and definitely one of the highlights of this month. – Video Games – Boys’ Republic: I haven’t really talked about this song much, but I find it to be really catchy, and the chorus is really cool. It’s an overall really awesome song and more people should give it a listen! – R.O.D – G.D.: I didn’t listen to this song when it was released (I really don’t know why) and when I found this song, I fell in love with it, and especially the chorus. It’s an awesome, and I really love this particular performance too. – Secret Love – B.A.P: Another B.A.P song (hehe sorry about that) and I do know that it’s really old, but I rediscovered this song this month. It’s really nice! – See Through – Kwon Jin Ah: I know lots of people were crazy about her cover of this song, and although it’s part of the audition program K-Pop Star, I had to include it here because her voice is so great and my oh my, what an amazing song and performance. I can not get over her voice. K-Pop Star fans unite! 😀 Oh, and check out the original here if you’d like! 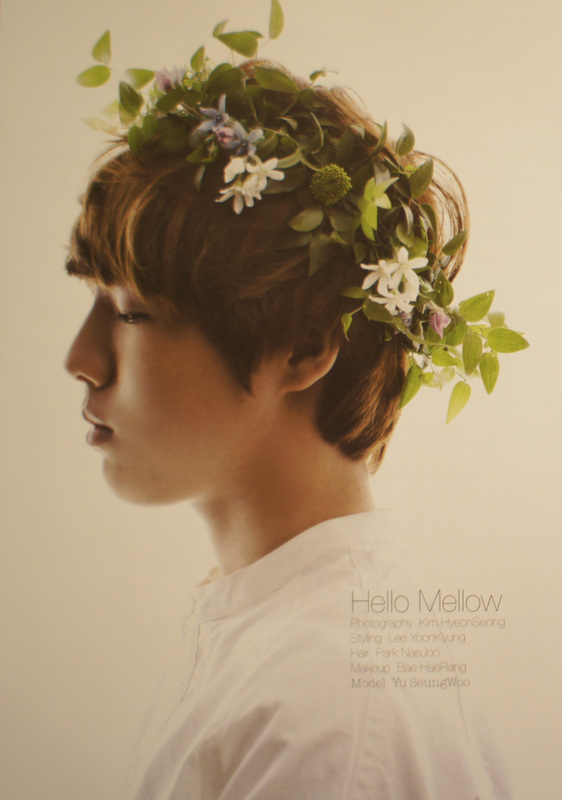 – Wild Flower – Park Hyo Shin: This song is so relaxing, and beautiful at the same time. If you’re needing to wind down, calm down with a great song, this is for you! Also, here are some of my favorites from Talking about’s in this month. To be honest, the songs this month were all pretty awesome, so these are just a few that I decided to include here too. Today’s post is about Ledapple’s (relatively) new digital single called Who Are You? Click here to watch it! I hope you all are having a great Saturday (hopefully better than mine at the least :3)! By the way, I have many ideas for new posts but I don’t know when it would be appropriate to post them. I’ll post those eventually (and by that, I mean a couple of days), so look forward to that! 😀 Well, without further ado, let’s get into talking about Ledapple! Image taken from soompi.com. All rights go to the respective owners! 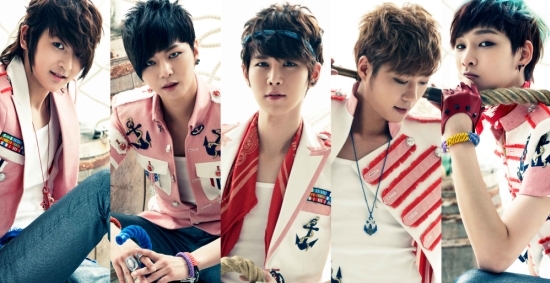 Ledapple (following how it’s written in the video) is a rock band formed by Starkim Entertainment. 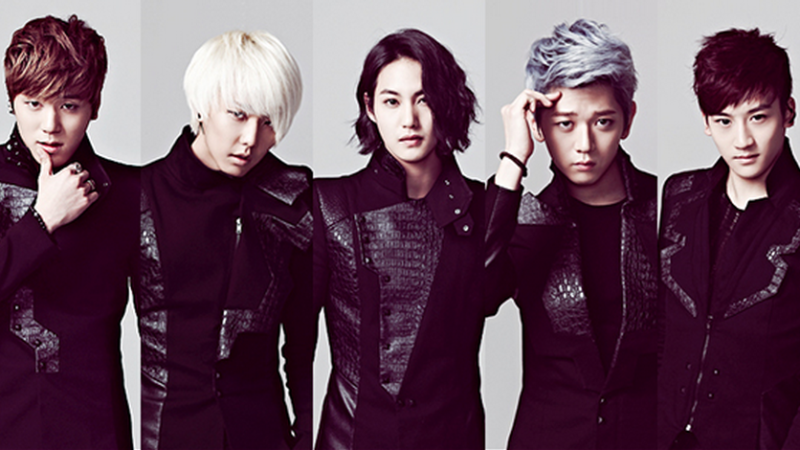 The group, formed in 2010, consists of 5 members: Kyumin, Youngjun, Hanbyul, Hyoseok, and Kwangyeon. I’m not too familiar with Ledapple, so this single was pretty new for me. Keep reading to find out about my opinions! Song: I really like this song! 😀 Like really! (in case you didn’t understand me before :p) The whole song is great. Every single part is really nice, and the chorus is really fun and catchy too. It’s super upbeat and fun :3 After a few listens, I was singing along on the “Who are you” part in the chorus hehe. I would say it’s a very approachable song and it took me very little time to start liking it. It’s a fun song that’s contagious. Overall, I really liked the song and the video! :3 Sure they weren’t super extravagant or anything, but I liked how upbeat and lively it was. Would I download this song? Yes! 😀 Definitely! What are your opinions about this song? Do you like the silly video? Let me know in the comments! Thanks again for reading! Don’t hesitate about leaving me a comment (it can be about anything!) 🙂 Have a great rest of the weekend! I hope you all are having a great Friday! Because I didn’t know what to talk about, I did some searching and I found the music video for Dancing Alone, by Billion! Billion is a new rookie group, with 6 members, formed by Move Entertainment. Although I wish I could include more information about this group, I couldn’t find anything else about them, probably because they are so new. Their debut song was released on the 24th. If you do have any additional information, I’d love to read it in the comments! Let’s get into the song and music video now! Image taken from sbs.com.au. All rights go to the respective owners! Music Video: It was cool too! 🙂 I thought the sets were cool, and they looked really pretty with this “badass” concept I noticed. I thought it looked nice overall, and it was a pretty nice video for a debut. The flipped cars, the buildings, the lights, the filters (it seems like) were interesting too! When I first saw that they were in the bus with the barred windows I thought maybe they were going to jail but then I realized that they were in all these really cool looking outfits….with one girl holding her huge instrument case… 😛 Stupid me, hahah. But anyways, I wasn’t disappointed with the video, and at the same time I wasn’t really in love with it either. I guess I’m more in the neutral zone, leaning towards the positive. It wasn’t super captivating, but it was visually interesting. Overall, it was a cool debut and I liked it in general! 😀 Would I download the song? Hm, yeah if I wanted to add it to my “Dance Playlist” haha! I apologize for the short post! Although I did want to write a lot, I didn’t really have that much to say. What are your feelings about this video? Let me know in the comments below! Hope you all have a great weekend! In order to compensate for my (relatively) short post, and in case you’re feeling bored and K-pop hungry, I’ll include Super Junior M’s performance of Swing! I absolutely love it; I think it’s so creative and awesome! 😀 Definitely check it out! I’m back, and today I have a K-Pop Group of the Day post about Girls’ Generation (aka SNSD)! In honor of them wrapping up their promotions for Mr. Mr. this weekend, I decided it would be fitting to talk about them now! Oh, by the way, I hope you guys are liking the posts recently! :3 I do want more diversity and variation in my posts so I’ll work on that, but as you guys might be able to tell, I’ve been trying to alternate between the different categories. So far, Talking about’s have been the most frequent, but please let me know if you think I should so more of another one! 🙂 Also, I would love any suggestions of posts you guys want me to do! Okay, now that I’ve talked about that, let’s go right ahead and talk about SNSD! Image taken from beautifulsonglyrics.com. All rights go to the respective owners! Although most of you probably know about this group, I’ll give a brief explanation for those who don’t! Girls’ Generation is a 9 member group formed in 2007 by SM Entertainment. The members consist of Taeyeon, Jessica, Tiffany, Hyoyeon, Yuri, Sooyoung, Yoona, and Seohyun. As I’ve mentioned briefly, their recent comeback Mr. Mr. was released on February 24th. I don’t know why but I felt like their promotions were so short 😦 maybe that’s just my impression! Favorite member? My favorite member is Taeyeon, without a doubt. She’s beautiful, adorable, and an amazing singer. To be honest, that can be said about most of the members of this group, but something about her is just so cute. :3 I really love her laugh! Oh my, this is so old, but click here to listen to my favorite song of hers. The memories are coming back :’) Haha! Do you guys remember when she was with Jung Hyung Don on We Got Married? (What is all these references to years ago? 😮 Is this a Throwback Wednesday Post? 😛 Hahaha) I loved them so much; they were my favorite couple. Overall, I just really love her quirky, adorable personality and her pretty voice! Favorite song? I’d say my favorite song of Girls’ Generation is probably Kissing You, which is relevant to the whole Throwback Wednesday theme I have going on right here. DO YOU GUYS SEE THE QUALITY OF THIS VIDEO :O So old! But anyways, it’s such a sweet, cute song :3 But really, I have a lot of favorites, like Genie, Gee, Hoot, etc. So many to choose from! Overall opinion? I really like them! They were probably, if my (terrible) memory is not failing me, one of the first girl groups I got into. I think their rise in fame coincided with when I started to get into K-pop! Since then and still true today, they’re an awesome group with super catchy songs! Although I’m not the type of fan that keeps up to date with all of their promotional activities, I do like their performances and them as a group in general. What are your opinions on this group? Let me know in the comments! Also, I’d like to do K-Pop Group of the Day posts about more well known groups too, but I also think it would be fun if I included groups that are not as widely known, so please leave any suggestions in the comments! 🙂 Again, thank you so much for reading! I’ll be back with another post tomorrow! Image taken from annyeongeurope.com. All rights go to the respective owners! 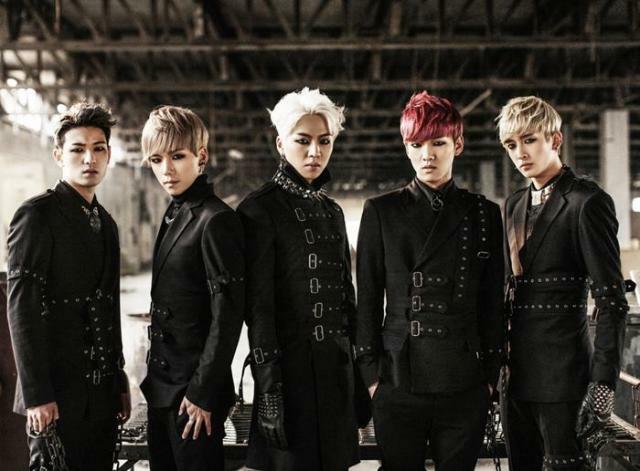 MBLAQ is looking good, with their classy outfits in the new music video for Be a man! 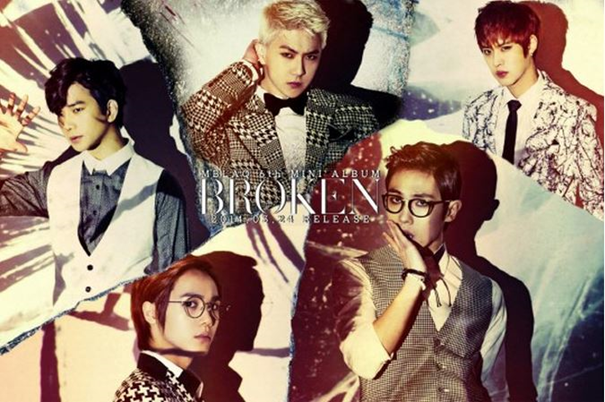 The group has 5 members – G.O, Seungho, Lee Joon, Mir, and Thunder. 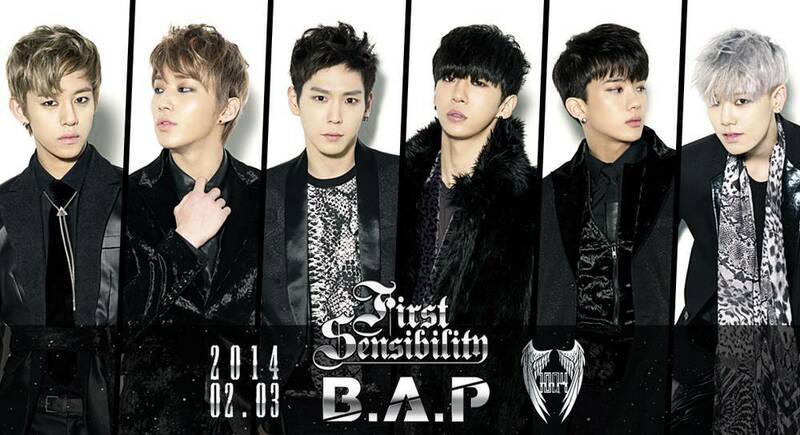 They debuted in 2009, and are currently contracted under J. Tune Camp. Music Video: As for the music video, I thought it was decent. I mean, I did like it, but I didn’t really love it. Does that make sense? I didn’t find it to be an amazing video, but I’ll say this – they look really good in suits. Damn. 😛 Haha, moving on, I thought the shadows on their faces and the walls, by using the blinds was cool and I thought the change of sets through the movement of the camera was awesome. They did a good job of setting the mood of the video and the song as a result, which I did appreciate. Other than that, I’m digging Mir in glasses haha it looks good on him! Visually, there were some cool things, but it wasn’t super interesting, to be honest, but I think it conveys a suiting mood to complement the song. Overall, I really liked the song, and the video, not so much. Would I download the song? Yes! 🙂 I’m looking forward to their live performances as well! What do you guys think? I know there are a lot of exciting comebacks happening soon, so I’ll try to write about those too! Sorry for the really short post today! Leave me a comment about your opinions! Thanks for checking out today’s post, and I’ll talk to you guys later! JJCC (pronounced Double JC) is, as I’ve mentioned countless times, Jackie Chan’s K-pop group, which is managed by The Jackie Chan Group Korea. The members consist of SimBa, the leader, (omg I’m not the only one freaking about his name am I) E.Co, Eddy, SanChung and Prince Mak (or Mac, whichever one but I personally find Mak cooler :D). Because they are such a new group, there are many variations on how to spell their names, so I apologize if I got it wrong 😦 Although all the other members are Korean, Prince Mak is a Chinese Australian citizen. Oh, and another thing about the video – Prince Mak isn’t in the video (as you can probably tell since they’re only 4 members) because of injuries, but don’t worry, he’s part of their other schedules. Now that we’re more familiar with the group, let’s get in to the song and the music video! Song: As for my opinion on the song, I’m going to have to say that I liked it! I was impressed by Eddy, the vocal, as well as the voices of the rappers. Even though it’s a slow song, I guess it’s pretty catchy too, because I caught myself singing it, especially the chorus part. Overall, it was a really nice song, and I’m impressed by it, especially as their debut song. Music Video: While I did really like the song, I wasn’t in love with the music video. I mean, yes it looked cool and they looked cool too, but I really didn’t find any attempts to actually create a coherent storyline. Take the superpowers for example. When I watched the teaser, I thought they would use it for something super cool, or actually have some purpose behind them, but after watching the music video, it seems it wasn’t there for any other reason, other than to make them look awesome (which the blue fire in his hand was, I’ll admit :D). I won’t say I disliked it, because that’s not true, but I think they could’ve given us more substance. I don’t know, I just didn’t find it that interesting. :S I will say that I think they do look good and the video in an overall sense does look polished. I might not love it as much as others because I have high standards, and I was really looking forward to this, so I apologize and I want to make it clear that I’m not saying the video is bad! 🙂 Additionally, I do understand that they took this method, of placing emphasis on the members instead of a story, since it is, after all, their debut and they want to get their names out there. Overall, I thought the song was nice, and the video was cool too, although it maybe could’ve been better?! Yes? No? Let me know in the comments below! Would I download the song? Yeah! 😀 I dig it! (Does anyone even say that anymore?) Thanks so much for reading! Tomorrow’s post might involve MBLAQ or SuperJunior-M, who knows? 😉 So stay tuned! Hugs from your fellow K-popper! I’m back with another post, and to spice things up, I’ve come back with another K-Pop Findings! Today’s post is about a singer I recently came across, and that is Yu Seung Woo! Many of you may know him as one of the participants of Superstar K4. Image taken from nemopan.com. All rights go to the respective owners! He released his debut album in 2013, and is currently part of UK Muzik. At a young age of 17 (his birthday is 02/26/1997), he has already caught the attention of many with his gentle, delicate voice. Here’s a few of my favorite videos of him! Hello MV – His voice! 😮 It’s so pleasing to listen to. This is a really sweet, cute song. Collab between Huh Gak and Seung Woo – LOOK AT THIS KID’S TALENT. SERIOUSLY. And finally, here’s a compilation of his performances from Superstar K4. Check it out if you want to see more! Welcome back to It’s Time to K-pop, and today is, yet again, another Talking about! 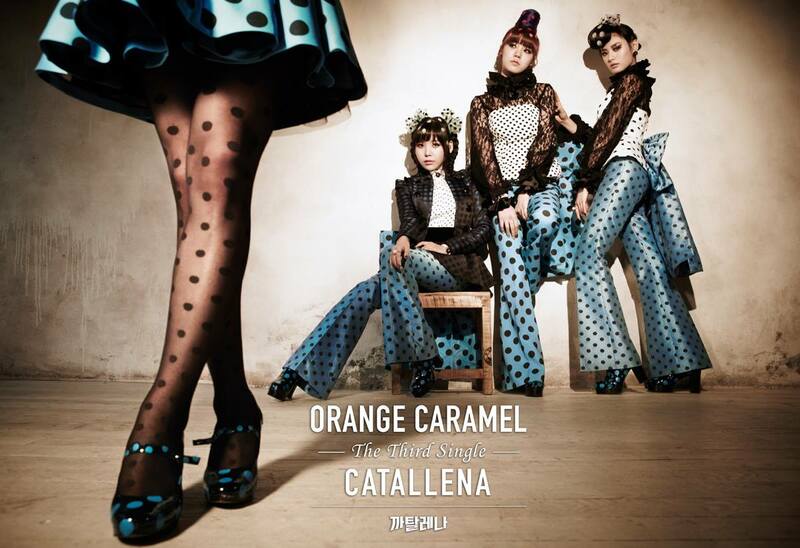 I swear I’ll post things from different categories soon, but I really wanted to talk about this release, and that is Catallena by Orange Caramel! Tomorrow I’ll (hopefully) have something different than a Talking about 😀 Let’s go right ahead and talk about this unique release! Orange Caramel is a subunit of After School, and they debuted in 2010. The members consist of Nana, Raina, and Lizzy. Image taken from asianjunkie.com. All rights go to the respective owners! Song: This fun, quirky, disco feel song is approved by me! I thought it was an interesting, fun song. It’s the type of the song that makes me want to sing along. It has a very catchy chorus! I liked the “narration” type thing, and the “hoy” exclamations in the middle of the songs – it made it even more entertaining. Overall, I liked it! I know that it’s not everyone’s cup of tea, and although I didn’t think it would be the type of song I like, I actually enjoyed its quirkiness. Overall, nice song and awesome video! 😀 Would I download the song? Hm…Although I do indeed like the song, I don’t think I would actually download it and play it in my iTunes, because that’s just my personal preference. Is it weird that I liked the song but I wouldn’t download it? Well, I am weird, heh. Maybe I will download it and add it to my “Upbeat Playlist” 😛 (I don’t have an Upbeat playlist, but if I did, I’d include it 😀 ). What’s your overall opinion about Catallena? Did you love it, or did you hate it? By the way, have you guys heard about KBS’ ban on Orange Caramel’s music video? Apparently, the music video “made light of human life”…. What… 😮 Do you guys agree with this? What are your opinions on this? Let me know in the comments! How have you guys being doing? 🙂 It’s finally Friday! I hope you all are enjoying your day! ❤ Quick story before going into today’s post! I was in the car today and I heard Girls Day’s Something! 😮 I (obviously) freaked out because I wasn’t expecting it at all! I thought it was pretty cool in the moment, haha, but, putting aside my stupid anecdote, let’s go ahead and get started! Today’s post is about Lee Michelle’s (by the way, yes, I do know that last names come last in English but I’m writing it the same way it’s written in the music video’s title) Without You! Click here to watch it! I was amazed by her performances on K-pop Star Season 1, and I’m happy to see that she finally debuted! What are my opinions on her release? Keep reading to find out! Image taken from seoulbeats.com. All rights go to the respective owners! Song: I ABSOLUTELY LOVE IT. Seriously. I think it’s amazing. 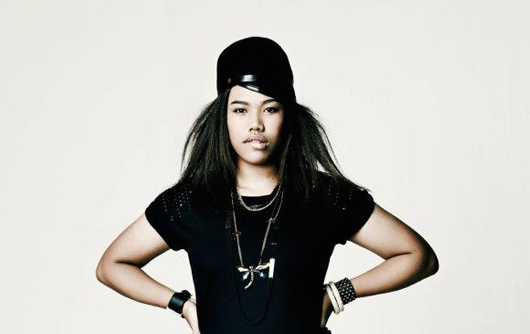 I knew how talented Lee Michelle was because of her performances at K-pop Star, but wow, oh wow. Her voice is amazing, and the song really reflects how great of a singer she is. The powerfulness behind her singing, and the lyrics, were probably the things I liked the most out of the song, but really, I have no complaints. I really loved it and I was amazed by her talent throughout the whole song. I don’t think I need to say much about it – it was beautiful. Music Video: I ABSOLUTELY LOVE IT. Seriously. (Heh) The video was so great! At first, I was kind of scared and startled by the chase scene and the door shaking, but I immediately fell in love with the video. Look at the girl! She’s so adorable, and her little cheeks are so cute! Haha :3 The video was seems to reflect the struggles and difficulties Michelle had to go through for being half African American and half Korean. The video had many great things in order to show this. First of all, it really broke my heart when I saw all the things the little girl was writing on the wall, such as dirty, monster, die, etc, because it pained me to see that others would actually see them in this way. The part when she started applying makeup to her face really affected me too and I thought it was significant how the things she would do, like apply white powder or red lipstick, could be seen on Michelle in the next scene, showing how the little girl may be a reflection of her. I thought the video was very powerful in showing the struggles that she went through (and might even still have) from bullying because she was different. It was a very meaningful video and I loved it even more because it’s kind of hard to find these types of K-pop videos today, especially because companies are (understandably) busy trying to make their idols look good, but I fully appreciate that the video focused on developing this plot, and I’m sure others valued it too. Not to say that she didn’t look good, of course, but you get the point (hopefully) :3. I especially loved the end with both the little girl and Micelle, and I thought it was a super touching way to finish. I really liked this video and the fact that it was so personal to her, yet powerful all the same. Overall, I absolutely loved both the video and the song and I am very much amazed and impressed by her debut. I’m kind of emotional right now (:'( ) because of the video, so I’m sorry if I babbled a lot during this post! I was captivated during the whole thing by both what was happening and her singing, and that’s something I consider important especially for a debut. Would I download the song? YES, definitely! It’s so beautiful! I am glad I stumbled upon this, and I really hope you all give it a try too! What do you think? Were you not as impressed as I was? Let me know in the comments below! Thanks for reading this (babbling) post, and I’ll talk to you guys again soon! P.S. JJCC, I am still anxiously awaiting your music video! I do know that they have already debuted, but I want to post and talk about them after I’ve seen their music video! Who else is excited to see the video? Welcome back to another post, and another Talking about, and this one is about 100%’s Beat! I was intending to write a “talking about” on JJCC’s new music video, but it isn’t out yet unfortunately (although I thought it was today) so hopefully I’ll post that tomorrow! As for this post, I’d like to start off by saying that I don’t really know much about 100%, since the only member I know is Sanghoon (who isn’t really a member anymore), but hey, it’s an opportunity for me, and hopefully you if you don’t know them, to get to know them better, and if you already know them, to recommend me some of their other songs! 😀 Anyways, let’s go ahead and talk about it! Image taken from ohkpop.com. All rights go to the respective owners! Song: I liked it! 😀 Although I don’t know what type of music 100% usually produces, I really thought this was good! I think their vocals are great, especially at parts 0:24 and 1:25. Their voices are powerful, and these parts were pleasing to listen to. 😀 I think their voices are very fitting for this song, or the song was made to fit their voices. Either way, I thought the vocals worked well! I approve – I thought it was a good song. Music video: As for the music video, I mean.. uh.. uh… nice? Haha, I honestly was a bit confused by what was happening. What I understood was that there’s this girl that one of the members loves, and while he has flashbacks to then when they were happier and in love, the reality is that he is stuck in some sort of “tank” thing, in a very creepy setting, suffering. Other than this, I’d like to talk about a few details that caught my attention. First of all, I thought the special effects were kinda cheesy, like the blood spurting out and the red lightning while they were dancing. The eery, unusual sets they used and the end (spoiler, I guess? Haha!) when the guy (sorry don’t know their names :S) pulls his heart out (and they actually show us the heart! :o) seemed like the highlights of the video to me. The music video had an overall creepy, violent, intense vibe to it. I wasn’t completely in love with the video. I thought it was okay, but I just didn’t think it was “unique” or super creative, but that might be me having too high of a standard. 😀 hehe I don’t think it was a bad video, but I don’t think it was a good video either, ja feel? UPDATE: Thanks to the suggestion by awesomesaucery, I checked out the dance version of the music video, which you can see here, and I thought I would include it in this post too! Overall, the dance moves were cool (especially the part at 2:19, and the 360 head turning thing) and their performance was interesting to watch too! Check it out and let me know what you think in the comments!